The Internal Revenue Code recently underwent its first major tax overhaul since 1986. In an attempt to stimulate the national economy, The Tax Cuts and Jobs Act of 2017 was passed in December of 2017 and impacts taxpayers starting in 2018. 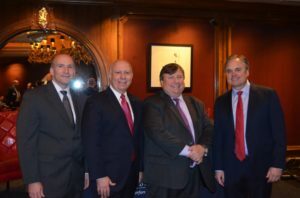 On May 23, 2018 First Long Island Investors invited three prominent tax accountants, Charles A. Barragato, Lance D. Christensen, and Raymond Kelly, to share with clients and friends of the firm their perspectives on how the new tax reform will affect high net worth individuals going forward. Raymond Kelly, a partner at RSM US, LLP, began the session by speaking about how the tax reform will impact businesses. Corporate tax reform can be highlighted by a tax rate reduction to 21%, down from a previous rate of 35%. This reduction is significant as it puts the United States at a corporate tax rate that is closer to the worldwide average, making the United States corporate tax rates competitive with the rest of the developed world. Companies were able to reduce their taxable income in 2017 by accelerating expenses that would otherwise have been deferred to 2018 or later. The acceleration of such expenses allowed corporations to reduce their tax in the year that had a higher tax rate, effectively providing a greater tax benefit. Certain partnerships are also receiving a tax benefit under the new tax law. Partners of certain qualified businesses are eligible for a 20% deduction on pass-through income. Qualified businesses generally exclude service industries, except for engineering and architectural firms. In order to utilize this tax advantage partnerships may consider using techniques such as spin-offs in order to segregate their administrative and sales businesses from their service businesses. The tax community expects the Internal Revenue Service to issue further guidance on the 20% deduction on qualified businesses over the next few months. Charles Barragato, a partner at BDO, continued the conversation by discussing the estate and gift tax provisions of the Tax Cuts and Jobs Act. He shared that the estate tax was initially established in 1916 and continues to this day except for the year 2010, when it was temporarily repealed. The IRS maintains a unified estate and gift tax system which means the two are treated as one and the same for the purposes of removing assets from ones estate. Under the prior law an individual was able to gift $5.4 million tax free over the course of his/her lifetime. Under the new law the exemption has been increased to $11.18 million, more than double the previous law. In addition to the lifetime gift exclusions, the allowable annual exclusion by which any individual can gift up to $15,000 (up from $14,000 in 2017) per recipient to an unlimited number of recipients tax free each year remains part of the tax code. Medical expenses and tuition payments continue to be considered non-taxable gifts if they are paid directly to the respective institutions. While the new law provides for this lifetime exclusion limit to be significantly larger than in the past, that provision is set to sunset in 2025. Therefore wealthy individuals and families should still be engaging in dialogue with their wealth management and accounting advisors on tax-efficient estate planning and wealth transfer strategies. Some of the estate planning techniques Chuck touched on include the utilization of valuation discounts, grantor retained annuity trusts (GRATs), and sales to intentionally defective grantor trusts. Valuation discounts allow for illiquid assets, such as partnership interests, to be discounted on estate or gift tax returns. Individuals can consider using family limited partnerships in order to transfer wealth to their beneficiaries at a reduced gift tax cost. GRATs are used to transfer assets out of an estate. Using a GRAT, the taxpayer (the “grantor”) contributes assets such as securities to an irrevocable trust while receiving an IRS specified rate of return. Appreciation in excess of the IRS stated rate is given to the beneficiaries of the trust free of gift tax. Finally, an individual can make a sale to an intentionally defective grantor trust. This will move assets out of an individual’s estate while including all taxable income on the grantor’s income tax return. This will allow the beneficiaries to be entitled to the assets (net of any purchase note) while the grantor remains responsible for the income tax liability from the assets. Lance Christensen, a partner at Margolin Winer & Evens, LLP, took the group through the impact the tax reform will have on individuals. The top tax rate has been reduced from 39.6% to 37% which may not seem substantial but after factoring in the 20% potential pass-through rate, effective taxes can fall below 30%. Although the standard deduction is increasing to $24,000 for married individuals, the tax reform is tightening up on the allowable itemized deductions for individuals. State and local tax deductions are being capped at $10,000, and allowable mortgage interest is being limited to interest on future borrowings of $750,000 (down from $1,000,000 in 2017) (existing loans are grandfathered at current limits). In addition, home equity interest may no longer be deductible under the new law (however, such interest may be deductible if the loan proceeds were used to purchase, construct, or improve the home). These limitations are especially burdensome for New York residents who pay some of the highest real estate and state income taxes in the country. Lance shared that when these provisions were first announced there was concern that the cap on these deductions would negatively impact home values in areas like Long Island. Thus far, that has not happened based on a report Lance quoted during the session. It may still be too early to tell as the tax cuts were enacted less than a half year ago. The states are attempting to help individuals from being burdened by these losses in deductions by passing new regulations. New York for example has created an 85% charitable contribution credit if donations are made to two state authorized charitable gift trust funds: The Health Care Charitable Fund and The Elementary and Secondary Education Charitable Fund. New York has also proposed a 5% unincorporated business tax which will be paid at the partnership level for flow through entities and flow through to the partners’ Schedule K-1’s. This will be interesting as the IRS may act to disallow the benefits resulting from such state tax workarounds. 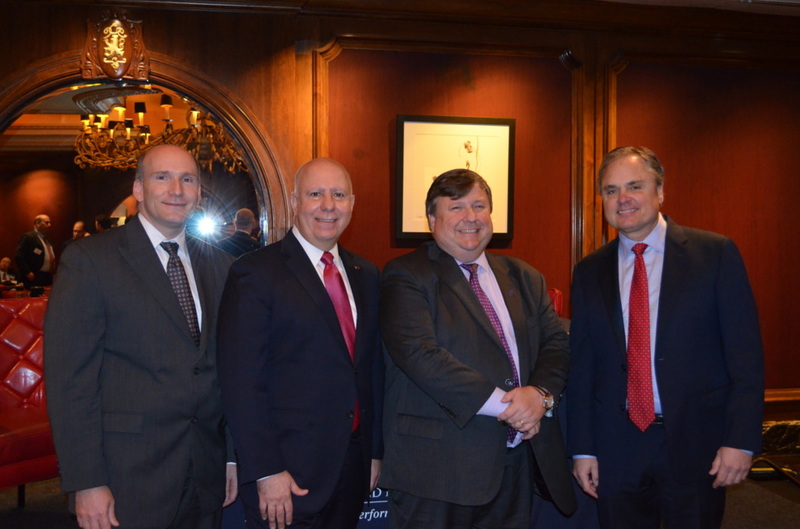 Robert D. Rosenthal, Chairman, Chief Executive Officer and Chief Investment Officer of First Long Island Investors, concluded the seminar by explaining how the tax reform has and will continue to impact the investment marketplace. He emphasized that the new tax law is a fiscal growth initiative with a goal of boosting the overall United States economy. Over the past eight years GDP growth averaged roughly 1.8% per quarter. Over the two most recent quarters GDP was reported at 2.9% and 2.3%, respectively. He shared that many corporations have excess cash, due to lower tax rates, which they are using for reinvestment and in some cases to fund dividend increases for investors. The team at FLI believes the new tax law will strengthen companies financially and help continue to drive stock prices higher. For more information on the effects of the tax reform law please refer to How Does the Tax Reform Bill Apply to You? Tax planning varies greatly based on an individual’s specific circumstances and we encourage each of our clients to reach out to us and/or their tax professional to review the strategies which would be most beneficial based on their needs. We look forward to the opportunity to work with you and your tax professional to discuss how the techniques discussed could be implemented for you and your family. FLI is neither an attorney nor accountant, and no portion of this presentation should be interpreted as providing legal, accounting, or tax advice. Please contact your tax advisor.